Miami is a top cultural destination that has a lot to offer. The cultural scene is magnetic and you will instantly notice how glamorous this city is. Make your way to Nikki Beach Club on South Beach for some celeb spotting. Party animals and those that enjoy a night out will feel right at home in Miami. A lot of the bars and clubs are open until the early hours and the party never seems to stop. Experience a taste of different cultures by sampling the local food, which is a mix of Hispanic and Cuban flavours. Take advantage of the fresh caught seafood dishes which are on many of the local menus. Those who prefer a spot of culture should head to the many museums and art galleries throughout the city. 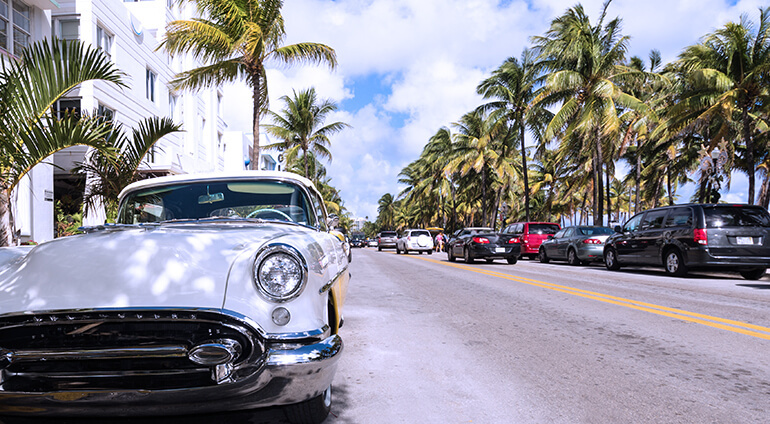 Some of the more well-known museums include the Miami Museum of Science (which has a planetarium), the Jewish Museum of Florida and the Bass Museum of Art. Kids will have lots of fun at the Miami Children’s Museum which also has a wildlife centre.